Need some help or buying advice? At OptimumPrint we understand that printing can be stressful, especially when you’re not sure which printing services or materials best suit your needs. Our goal is simple, to help guide you through the print management process, ensuring your next print job is the best it can be. Save time and money with our range of print management and procurement solutions. From Lithographic Print to Digital Print to POS Signs, we have every aspect of print covered. Arrange a free no obligation print audit and save up to 20% on your printing costs. 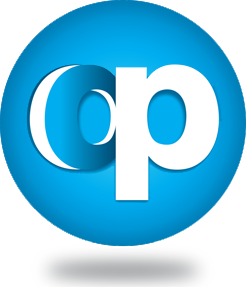 "I have been using Optimumprint for just under 2 years and they have never disappointed. Their print quotes are very competitive and they have never missed a deadline even when a quick turn around was needed. Would recommend!" "We have worked with Optimum Print on behalf of many of our clients and have been really happy with the support and work they have carried out for our business. As a company that works with well-known national and local clients, all of our projects need to be completed to the highest standard. We need a company to deliver projects with a fast turnaround and this is exactly what we get with Optimum." "ACE Lifestyles have been using Optimum print for a while now, and since I have taken over the role of programme coordinator I decided to obtain some quotes from other printing companies. Optimum has continued to be better value for money than others and their service is of a high quality, professional and quick. I have no hesitation in recommending Optimum Print." "Optimum Print has been a great support to the wide range of printing needs and budget constraints of St Helena Hospice. The team’s knowledge and expertise is a great comfort - nothing is a problem for them. Everything is delivered to us in a personal and friendly manner and often to tight deadlines. Recommended!" "Changing Faces have used the services of Optimumprint for the various printing needs we have at the charity. We have found the service good, prices very competitive and would recommend this company without hesitation. We look forward to a continued working relationship with Optimumprint." "We have found Optimumprint to be incredibly responsive to our ever changing demands. It's great to know that when we make rapid changes to our menus that we have a professional printer standing beside us."